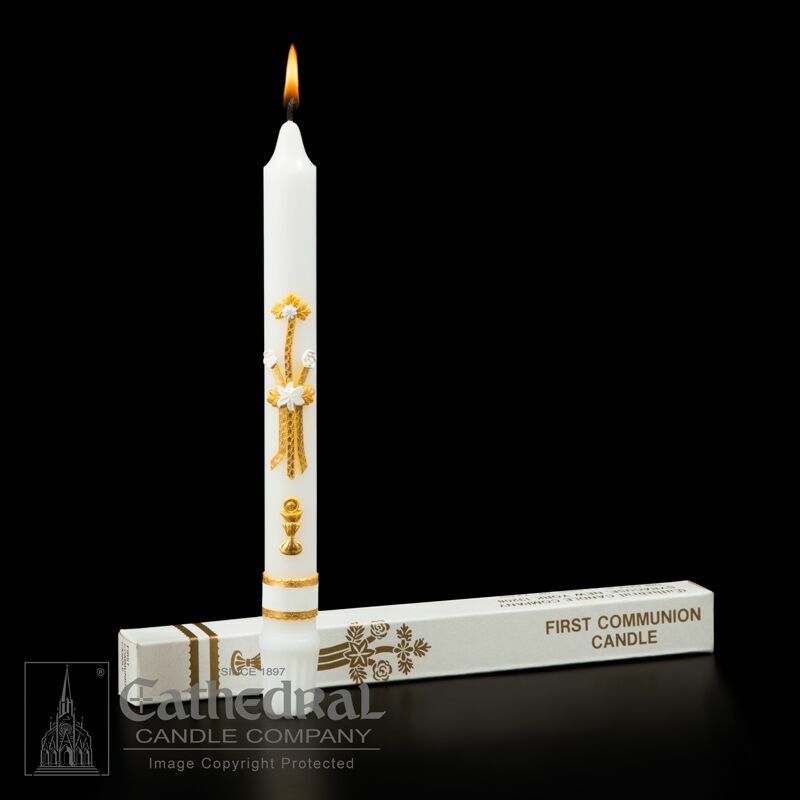 THIS FIRST HOLY COMMUNION CANDLE IS ADORNED WITH RAISED WAX AND GOLD LEAF SYMBOLS OF THE SACRAMENT. EACH CANDLE IS GIFT BOXED WITH SPACE TO RECORD THE DETAILS OF THE CEREMONY. MADE OF STEARINE WAX.